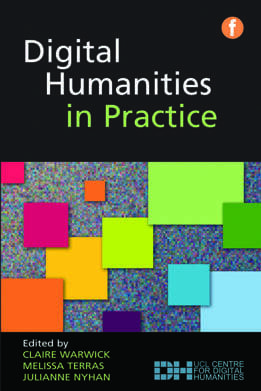 The balance between the various activities undertaken in digital humanities: teaching and learning, research, resource creation and technical support, is an important issue that Claire Warwick discusses in Chapter 9, in which she reflects on the institutional contexts in which digital humanities takes place. The model that we chose for UCLDH is highly innovative, since it is the hub of a large network, connecting digital humanities activity throughout UCL and beyond. However, this chapter also considers what we can learn from studying the models on which digital humanities centres and programmes have been run in the past and what these may mean for the future of the discipline. In this context, it is also important to discuss the institutional environment in which digital humanities takes place, in terms of prestige, management support, career progression of researchers and the importance of communicating what we do in digital humanities to others. Given the huge growth in digital humanities globally, it is important that we discuss such issues now, so that recommendations for good practice may be made to support the future of the discipline. Richard Edwards, Professor of Economics, University of Nebraska–Lincoln , Kenneth M. Price, Hillegass University Professor of American Literature Co-director, Center for Digital Research in the Humanities, University of Nebraska–Lincoln and Katherine L. Walter, Co-director, Center for Digital Research in the Humanities, University of Nebraska–Lincoln. The University of Nebraska-Lincoln (UNL) created the Center for Digital Research in the Humanities (CDRH, http://cdrh.unl.edu) to focus, provide support and enrich the quality of the growing array of digital humanities scholarship on campus. CDRH first emerged as a natural outgrowth of the work of several individuals over nearly a decade, whose efforts resulted in this formally adopted and budgeted program. With CDRH officially designated a Center by the Board of Regents and the State in 2005, the University has committed to long-term sustenance of digital scholarship. CDRH – a partnership of the College of Arts & Sciences and the UNL libraries – serves to co-ordinate and rally a rapidly growing group of digital humanities scholars and their projects. It is led by co-directors Kenneth M. Price of the English Department and Katherine L. Walter of the University libraries. From the beginning, CDRH’s initiators saw digital scholarship as thriving best when pursued collaboratively. They consciously brought together scholars, publishers, librarians and archivists to work across dividing lines and to create interdisciplinary synergies. The Center fosters collaborative initiatives across disciplines and administrative units, by providing scholars with support, expertise, leadership and a congenial community of colleagues. Through scholarly activities and associations, such as the Nebraska Digital Workshop and centerNet, CDRH connects Nebraska’s scholars with other digital humanities scholars around the country and the world. In short, the Center serves as a catalyst for digital humanities scholarship. Currently, CDRH hosts over 50 scholarly projects, involving faculty, staff and students from humanities disciplines such as English, History, Modern Languages and Literature, Religion, Anthropology and Geography. Among other partners are the University of Nebraska Press and the Center for Great Plains Studies/Plains Humanities Alliance. The University’s commitment includes funds and other support directed to CDRH itself, and departmental commitments include targeted new hires intended specifically to support digital scholarship at UNL. Among digital humanities projects underway are digital, thematic research collections, including the Walt Whitman Archive, the Willa Cather Archive and Omaha Indian Artifacts and Images; tool development projects, such as Abbot – a schema harvesting tool that takes arbitrary XML-encoded text collections and transforms them in such a way as to make them inter-operable with one another; and geo-spatially oriented projects, such as The Making of Modern America, which explores the dynamic social changes that came between 1850 and 1900, with the development of new transportation and communication systems. Despite the growing extent and (equally apparent) growing success of digital humanities scholars at Nebraska, it was by no means inevitable that the University would perceive, understand and act to take full advantage of the opportunities it now faced. Thus, the University’s major commitment, as reflected in the establishment of CDRH and the hiring of several digital scholars, remains to be explained. A few key features or lessons can be identified. First, neither the initial opportunities nor any subsequent successes would have existed, without the University having ambitious digital scholars themselves. This point may seem obvious (because it is), but it is central, nonetheless. And here there was a certain amount of serendipity. The late Professor Sue Rosowski, overseeing the print based Cather Scholarly Editions, was determined to create a Cather Archive. Professor Katherine Walter, who had led the Electronic Text Center since late 1998, was eager to put Nebraska among leading universities making use of new digital technologies. Professor Ken Price, invited to join the Nebraska faculty in 2000, primarily to contribute to the already-substantial programme in 19th -century literature, was committed to developing the Whitman Archive. These, and other scholars, were crucial to the success of the larger enterprise, both because they do digital scholarship and, more importantly, because the quality of their work demanded (and got) attention – from outside funding agencies, the wider scholarly community and even university administrators. The ability to ‘sell’ this new initiative within the University was directly dependent upon the accomplishments of the faculty participants. These initial faculty members contributed further key ingredients. They had a vision and a commitment to a broader initiative in digital humanities scholarship – a vision that has now been realized in the formal establishment of CDRH and the allocation of several faculty hires to this area. Second, they provided skilful and consistent leadership in proposing and pressing for the University’s commitment. And third, by their very presence, they provided the most powerful enticement to other scholars, whom Nebraska was attempting to recruit. In all of these ways, the digital humanities initiative at Nebraska would simply not have been possible, without the serendipitous coming together of a group of talented faculty. Second, the University was (and is) seeking to invest in scholarly and scientific areas, in which it has the opportunity to build programmes of true and recognized excellence. Nebraska is a mid-sized public research university, with significant teaching and service responsibilities; while it seeks to develop high quality programmes, it cannot realistically expect to attain national significance everywhere. Over time, the University decided upon a strategy of investing specially designated funds in a few carefully chosen areas, where the expectation to have the best programme, or a programme among the three or five best in the country, is realistic. Digital scholarship in the humanities was designated as one of the University’s elite ‘Programmes of Excellence’. This implied that certain new monies (now about $400,000 per year) would become available. Of equal significance, however, this designation identified digital humanities scholarship within the University community as deserving of special attention and support; thus, administrators in charge of information technology, the research office, space allocation and other valuable campus facilities and services, were encouraged to undertake special efforts within their own operations and budgets to support this initiative. The University libraries, in particular, reallocated space to house CDRH. Perhaps most importantly, the participating deans of Arts and Sciences and University libraries agreed to designate certain vacant faculty lines, or assign the time of current faculty members, to the work of digital scholarship and, in some cases, specifically to CDRH. Thus, the newly-established Angle Chair in the Humanities was designated for digital scholarship, which attracted the distinguished scholar Dr. William G. Thomas III from the Virginia Center for Digital History to Nebraska. Other outstanding new assistant professors were also hired. Third, the role of the external funding agencies has been critical. Although funding in the humanities is tiny by comparison with that in the sciences, the ability of universities – and, certainly, Nebraska, in particular – to develop innovative and daring programmes aspiring to excellence, depends heavily on support from external agencies. Producing high-quality digital scholarship is not inexpensive. Considering the interdisciplinary teams and the technical infrastructure required to produce digital scholarship, funding needs are likely to out-run traditional university sources of support for humanities research. And while funding for start-up costs is important, obtaining external funding to sustain the initiative is crucial. Fortunately, Nebraska scholars have found that with vision, high-quality scholarship, clear articulation and persistence, such external support can be forthcoming. Digital humanities scholarship offers excellent potential for attracting significant support from private donors as well. Currently, the CDRH has a challenge grant from the National Endowment for the Humanities (NEH) to build a permanent endowment to support its ongoing work. By designating digital scholarship as a Programme of Excellence, the University sent a powerful, but implicit, message to the Faculty that a scholar can, and should, be tenured, promoted and receive merit raises, based on a file heavily weighted with electronic scholarship. Though initially the system of promotion and merit review was largely untested, the local results are, thus far, promising. The CDRH has developed guidelines for peer review of digital scholarship that have been adopted by the University. CDRH has developed sufficiently so that it is no longer reliant solely on one or two faculty members. Excellence breeds further excellence, and as the programme continues to develop and achieve success, it has attracted increasing support, attention and, yes, more scholars. Now, the departure of any one key professor would not be fatal. Although digital humanities is a well-established field, with journals, scholarly conferences (Borgman, 2009), academic centres (Svensson, 2010; van den Huevel et al., 2010) and postgraduate courses (Clement, 2009), it could be argued that the full internationalization of the field has not been fully achieved. Countries such as the United States, the United Kingdom, Canada and, to some extent, Germany, France, Italy and Australia have dominated scholarly digital humanities activity, with little or no participation from other regions of the world, such as Asia, Africa and Latin America. However, this does not necessarily mean that academics from these parts of the world are not involved in projects and activities that could be considered digital humanities related (Muller et al., 2010). These scholars have, instead, worked independently and without knowledge of digital humanities as a field of enquiry in itself. It is important that, in order to become a truly international field, the consolidated digital humanities community should find and promote the incorporation of scholars from around the world (Terras, 2010). At the National Autonomous University of Mexico (Universidad Nacional Autónoma de México -UNAM), we set out to investigate what types of digital humanities projects existed and what particular characteristics and challenges they presented for developers (Galina and Priani, 2011), in order to promote collaboration on both a national and international level. A collection of digitized 17th century manuscripts from Mexico marked up in TEI on astrology and astronomy, an electronic corpus of a history of Mexican Spanish from the 16th to 19th century, the visualization of pre-Hispanic archeological sites in 3-D and a digitized archive of historical documents of the political trials of ex-president Francisco Madero from 1910 are just a few examples of the digital humanities projects that we have found in Mexico. These initiatives, however, were not easy to uncover, as there is no register or documentation of this information. Most of them were already known to us or were discovered by word of mouth. There are probably many other initiatives hidden on the web. • guidelines and aids for the evaluation of digital humanities projects. A key aspect is communicating the existence of digital humanities as a field and the research that has been done so far, by fellow digital humanities scholars around the world: the history of digital humanities activity is a valuable resource on which to base our work. As in other parts of the world, many humanities scholars are wary of accepting digital humanities as a valid field of enquiry. Technology is often promoted or used for its own sake, regardless of whether it addresses a particular field’s needs. It is therefore important that digital humanities be presented within a valid epistemological framework and that we refer to the large body of previous work. It is important to base our dissemination and lobbying on the experience of other countries. However, it is also crucial that we research and contribute to digital humanities within our own particular academic, cultural, political and economic context. Research and documentation, particularly in Spanish, is, therefore, one of the key issues. As with other parts of the world, the formation of digital humanities scholars is an acute problem. Digital humanities project managers have to train project participants, as their research requires a particular combination of knowledge and skills not normally found in undergraduate and postgraduate curricula. An additional problem is that most participants are students, who remain part of projects for short periods, requiring constant training of new members. RedHD is actively looking for ways in which to incorporate digital humanities training into undergraduate and postgraduate humanities programmes, as well as offering seminars, workshops and other training events in general. In the long run, we would be interested in establishing a postgraduate degree in digital humanities. Many Mexican digital humanities scholars found that evaluation and tenure committees tended to view their research simply as websites or databases and did not recognize the specialization, innovation and research that go into producing these types of materials. Nevertheless, the unfamiliarity of digital humanities means that the evaluators do not have access to the tools required for this evaluation. The RedHD will focus much of its attention on producing and enabling better evaluation systems for these types of research and teaching. In our case study of digital humanities in Mexico, we found a small, but enthusiastic, group of scholars who immediately identified with, and were pleased to discover, the existence of digital humanities. Additionally, the subject has generated a great deal of interest (despite some skepticism and resistance) from the university community. Overall, however, there is fertile ground for digital humanities activity, and we aim to continue to work on a national level and, eventually, towards forming a digital humanities Latin American network. However, building a community requires more than good intentions, and we are working on strategies to strengthen and promote its growth. It is very important to articulate collaboration with the digital humanities international community, at the same time that we build on our own particular academic, political, cultural and economic reality. • Van den Huevel, C. Antonijevic, S., Blanke, T., Bodenhamer, D., Jannidis, F., Nowviskie, B., Rockwell, G., van Zundert, et al. (2010) Building the Humanities Lab: scholarly practice in virtual research environments, Digital Humanities 2010, Kings College London, July 7-10.